Kitchen countertop installation is a big decision, both in terms of longevity and cost of the material. There are so many types of countertop materials available today. Finding the apt countertop surface from the crowd of luring materials is not an easy task. However, it is important to pay attention while selecting the kitchen countertop. No matter you are looking material for kitchen countertop replacement or fresh install, your countertop will play an important role in building the look and feel of your kitchen. The better is your countertop choice, the more luxurious your kitchen will look. The role of countertop in kitchen is more functional then aesthetic. Along with look, you should consider other aspects while choosing the countertop material for your kitchen island. In order to install the best countertop in your kitchen, you must understand the pros and cons of various countertops. Granite slabs are one of the most popular countertop surface options. These slabs look amazingly good and offer world-class working substance. Granite is durable, scratch resistant, heat resistant and germ resistant material. It can bear the daily wear and tear of the busy kitchens. Quartz is a perfectly engineered material for kitchens, especially commercial kitchens. This material is made up of f pulverized waste rock and resins. This material is ideal for kitchens because it has attributes of natural stone as well as manmade stone. Solid surface countertop is another manmade countertop material for kitchen. It is cost-effective, durable and beautiful countertop. 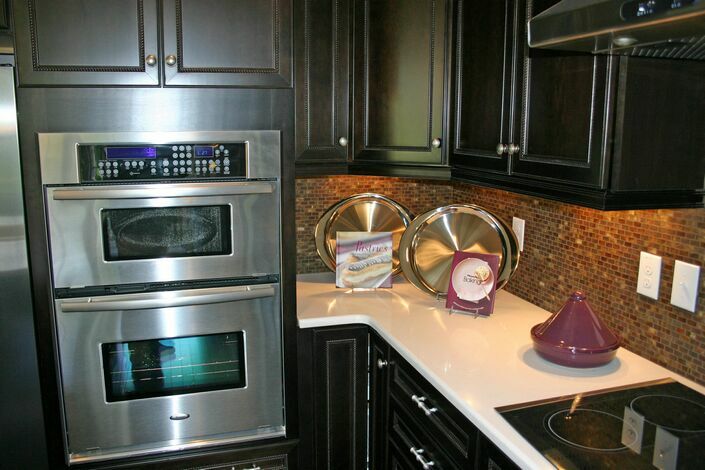 Laminate countertops provide amazing look and feel. They are good for kitchens. This countertop surface does not require much maintenance. Get chipped, cracked and damaged easily. The countertop acts as workbench for kitchen. It is more functional than decorative. Along with beauty, you should consider durability, maintainability, heat resistant capacity, scratch resistant capacity and strength of the countertop material. A wide range of kitchen countertop material choices are available on the market. You will find many countertop materials to choose from that suit your taste and style. The best material is one that fulfills performance standards, available within budget and looks beautiful. These are affordable and low-maintenance countertop surfaces. Although they do not offer heat resistance, get scratched and chipped easily, they are available in many colors and textures. If you are not going to use your countertop for heavy duty work, you can think about installing laminate countertops. Solid surface countertops are basically plastic. They offer renewable surface. The cuts and scratches can be blended. This surface allows you to use of integrated sinks. Solid surface countertops are non-porous and do not contain any visible seam. You can get fully customized solid surface countertop. 90 % homeowners opt for the natural stone countertops for their kitchens and bathrooms. Natural stones such as marble, granite, soapstone and gemstone offer amazing countertop surface. These countertops inherit the beauty of the stone from which they are made. These countertops are scratch and heat tolerant. Natural stone countertops lasts lifetime, if maintained properly. However, you should purchase natural stone countertops from reputable and trustworthy kitchen countertop company to get genuine product. Who are the most experienced countertop installers in North Carolina? Are you looking for new laminate countertops for your kitchen? You’re in the right place! At The Countertop Factory, we provide the widest range of countertop options in North Carolina. Whether you are looking for butcher block countertops for your kitchen or recycled glass countertops for your bathroom, we have got you covered! When you work with us, we guarantee that you’ll find the best countertops for any room of the house. Just a few of our most popular materials include granite countertops, marble countertops, tile countertops and silestone countertops. We offer a large number of discount countertops to our loyal customers, so make sure to ask our countertop contractors about our sales! We offer many popular granite countertop brands, including Corian countertops, Cambria countertops and Formica countertops. We also have many eco countertops options if you are interested in a more environmentally friendly option. Additionally, if you are not satisfied with any of our ready made wood countertops, we would be happy to create custom countertops for you in our very own countertop shop. Take a look at our countertop photos to get an idea of the stainless steel countertops and copper countertops we have installed for our North Carolina customers in the past. How can I remove a stain from my granite kitchen countertop? For the best countertop repair and countertop cleaning services in North Carolina, The Countertop Factory is just a phone call away! We provide the most complete granite countertop service in the state including cleaning, repairs and countertop painting. If you are looking for new bathroom countertops altogether, we can make a number of recommendations based on your needs and budget. Some of our most popular countertops options for the bathroom aside from the traditional granite include recycled glass countertops, stainless steel countertops, soapstone countertops, copper countertops and quartz countertops. If you are not satisfied with our ready-made selection of laminate countertops and glass countertops, we can always make custom countertops for you right here in our countertop shop! In addition to our selection of stone bathroom countertops, we are also well known for our wide selection of kitchen countertops. A few of our most popular options for the kitchen are butcher block countertops, silestone countertops, slate countertops, bamboo countertops and Corian countertops. Whichever room of the house in which you wish to install new countertops, you can rest assured you are purchasing the best countertops around, made from the finest materials available. Experience from over 20 years in the business has never steered us wrong! What materials other than granite can I use as a countertop? Are you thinking of installing a new bathroom countertop? Great! The home contractors at The Countertop Factory have tons of bathroom countertop ideas ready to be put to use in your home. Whether you are looking for the more traditional solid surface countertops or more environmentally friendly eco countertops, you have come to the right place! We provide a wide range of countertop materials to appeal to a wide range of people and homes. If you want to upgrade the area around your bathroom sinks, no one can do it better! 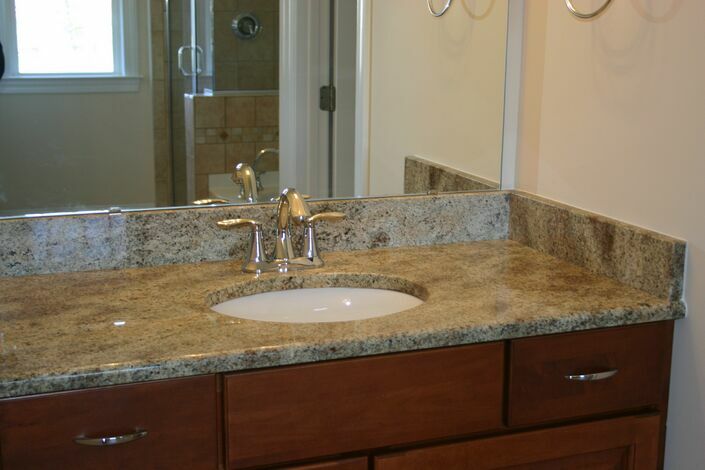 Our most popular bathroom options are granite bathroom countertops and marble bathroom countertops. However, we have many other countertop options for the bathroom we think you’ll love! These include laminate countertops, stone countertops, tile countertops and quartz countertops. If you’re more interested in learning about kitchen countertops, we can help you with that too. Some of our most popular countertop options for the kitchen include slate countertops, marble countertops, stainless steel countertops and Corian countertops. Our countertops prices depend on which material and brand you select, and your countertop contractor will help you select the right ones for your home. For all things related to state of the art home countertops, put your faith in The Countertop Factory! There are dozens of countertops that would look great in your kitchen. If you’re thinking of redesigning your kitchen but you aren’t sure of your countertop options, have no fear! The countertop contractors at The Countertop Factory are brimming with endless kitchen countertop ideas to turn your average kitchen into a chef’s paradise! We have been installing countertops in North Carolina kitchens for years and provide the widest selection of materials around. Some of our most popular kitchen countertop options include butcher block countertops, laminate countertops, stainless steel countertops and recycled glass countertops. 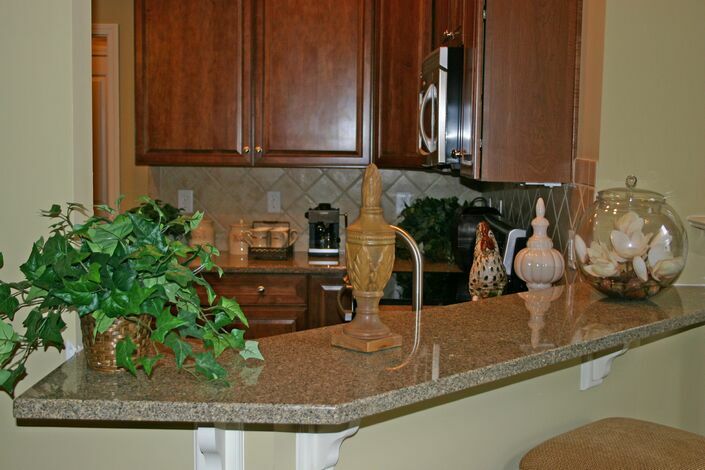 Granite countertops are perhaps our single most popular item, and look great in any area of the house. If you’re looking for a particular brand of stone countertops, we’ve got a number of very popular ones from which to choose. For example, we carry a large load of Corian countertops, Cambria countertops and Silestone countertops. Whether you are looking for high quality stone countertops or discount countertops, you have come to the right place. Some of our best countertops to use as bathroom countertops are slate countertops, soapstone countertops, quartz countertops and wood countertops. Be sure to get in touch with us soon so we can get started on improving the quality of your kitchen counters!